Located at the top end of the beautiful Loch Lomond on the A82 to Crianlarich is the historic Drovers Inn. From the moment you pull up outside and then enter the Drovers Inn you just know that you are experiencing something truly unique. The Drovers Inn is dog friendly, so your dog is welcome in the bar and we have selected rooms where Dogs can stay the night (£5 surcharge per dog per night). 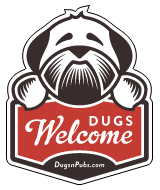 There are a total of 5 dog friendly listings in the Featured Argyll category. Please log in, or sign up as a member to view all listings.